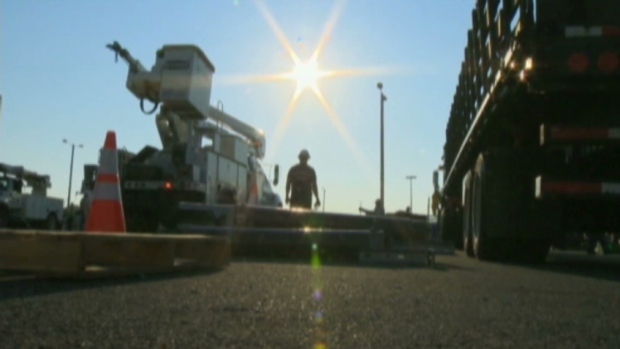 Ontario’s 80 local electricity distribution companies — many municipally-owed utilities — should voluntarily merge into a maximum of eight-to-12 regional agencies within two years, an expert panel recommended Thursday. The changes to the electricity distribution system would save $1.2 billion over ten years and make it easier, and less costly, for regional utilities to borrow money for much-need investments to upgrade their systems, said panel chair Murray Elston. “Demands by consumers for new services, which are quickly becoming necessities, were proving costly to introduce,” Elston told reporters. Under the plan drawn up by three former cabinet ministers — one from each party — there would be two electricity distributors in northern Ontario, while Toronto Hydro is large enough to be considered its own region so would remain unchanged. Hydro One, the provincially-owned transmission company which bought up 88 local distribution companies in the 1990s, would end up being the dominant player among the new regional distribution utilities outside Toronto, admitted Elston. Each local utility, and Hydro One, will get a share of the new regional distribution companies based on their assets and number of customers as a percentage of the larger agency. “There will be a (Hydro One) dominance in the majority of the regional entities,” said Elston.